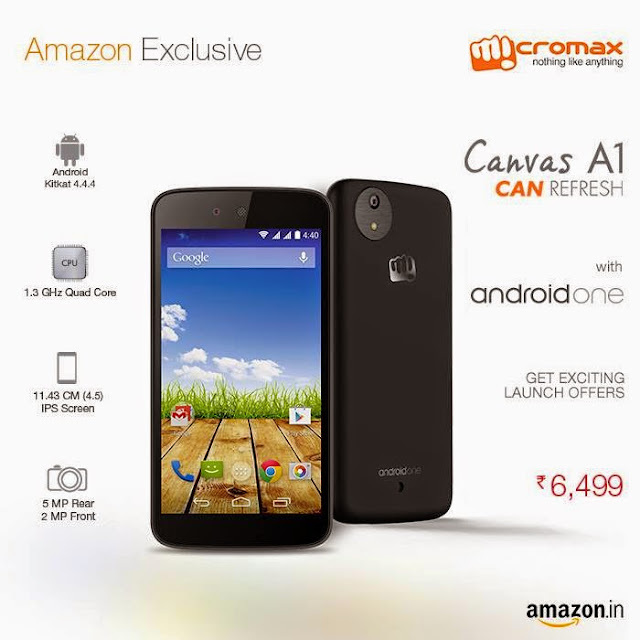 Micromax launched their Android One smartphone the Canvas A1. It boasts a 4.5-inch display with IPS display technology. There is a 1.3GHz Quad-Core MediaTek MT6582 chipset powering the phone. It runs on Android 4.4 KitKat and is promised to receive Android updates directly from Google. The camera is of 5 mega-pixel capable of doing 1080p video recording. Under the hood there’s a 1700 mAh battery powering the phone. It comes with launch offers exclusively through Amazon. Spice has also launched Android One Dream UNO Mi-498 a compete with the Canvas A1. 4) Up to Rs. 10,000 in Amazon.in Gift Cards for lucky customers, ends September 21st. Winners to be announced on October 1st. 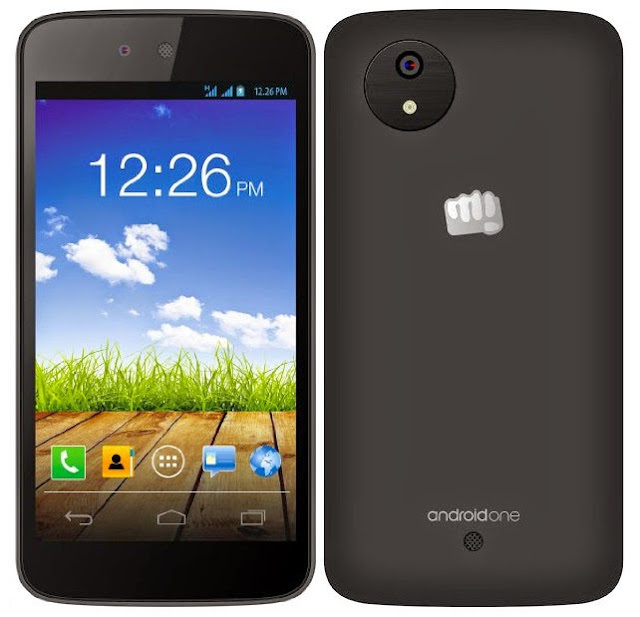 The Micromax Canvas A1 is priced at Rs. 6,499. And it comes with comes in Black and White colors and is exclusively available through Amazon.